Currently reading: Slow going but I’m still making my way through the end of Harry Potter y las Reliquias de la Muerte by J.K. Rowling. I’m at Snape’s flashbacks now so not too much more to go! I’m still enjoying The Nightingale by Kristin Hannah though nothing has happened that’s particularly stuck out to me yet. I’m hoping something unique happens so I can keep this one separate from other WWII books in my head, but it’s still reminding me a lot of Sarah’s Key. I’m still a little wary of The Buried Giant by Kazuo Ishiguro. It’s a lot more fictionalized than I’d planned on reading and I’m losing focus from time to time. I hope to power through this one because I don’t think it’s going to be a favorite. I started An Abundance of Katherines by John Green. I have to say, so far this is my least favorite Green book. It still has plenty of time to win me over, but so far, I’m not impressed. I hope this will be a quick one and I won’t be reading it forever, as is my ebook custom. Recently finished: I powered through and finished The Spectacular Now by Tim Tharp on Friday. It picked up and got me interested really quickly so I was reading it on my phone every free second I had. When I had twenty minutes to finish it, I pulled the paper book off my shelf and read the last three chapters like that. It’s refreshing to read YA when you haven’t in a long time! A few reviews that I’ve caught up on, too! First is The Circle by Dave Eggers which I posted Monday. I enjoyed the book and I’ve since watched the movie so I’ll have some opinions on that coming soon. I gave it 4 out of 5 Stars. The second one is History of Wolves by Emily Fridlund. My book club met to talk about this Monday so I’ll have a book club reflection coming your way soon, too! Look for it next week (probably). I gave this 4 out of 5 Stars as well. That’s been a pretty common rating for me lately. I guess that’s a good sign! Reading Next: I’ve still got Drop Dead Healthy by A.J. Jacobs lined up as my next physical read. I keep hoping I’ll finish up Potter and pick this up, but it’s taking me just a bit longer than anticipated. I forgot how slow I read in Spanish! Wow you are so close to finishing HP! I wasn’t a fan of An Abundance Of Katherines either… I hope it will pick up for you though. Happy reading! Here’s my WWW. I’ve got two chapters left! I only wish I had time to read this weekend. Happy reading! I read the Abundance of Katherines and removed the rest of John Green’s books from my TBR afterwards. It was really so lame. I also hated Turtles All The Way Down. I only enjoyed Looking For Alaska. 😛 Which books of John Green are your favorites? Alaska and Stars are my favorites. I haven’t read Turtles or Will Grayson yet but I’ve already bought Will Grayson so I’ll be reading that at some point. Happy reading! An Abundance of Katherines is my fave John Green book, I really liked Colin – hope it gets better for you, though! And wow, you’re reading a lot of books at the same time. 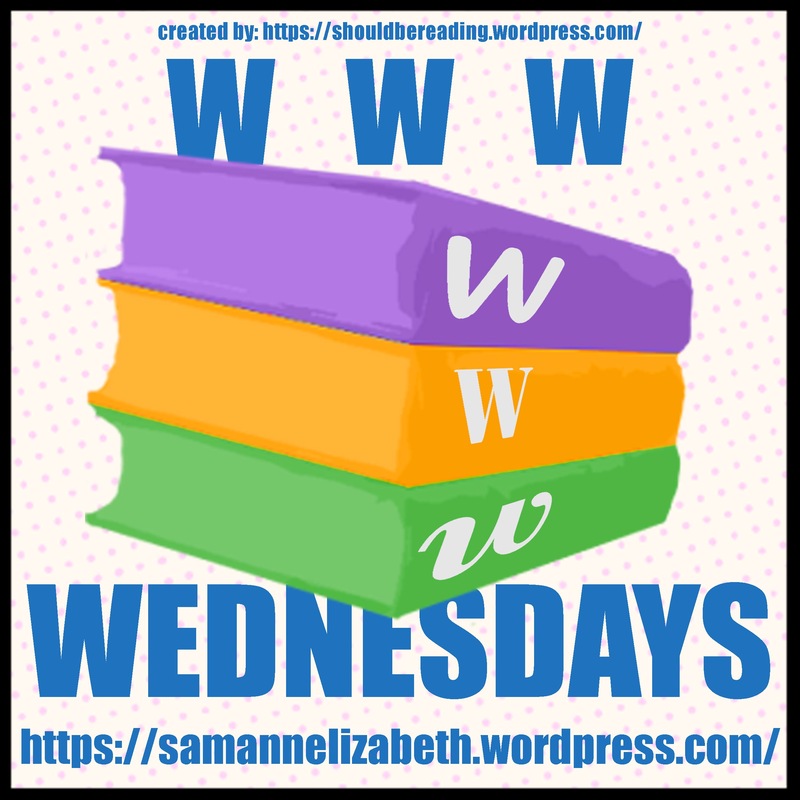 I tend to be the same, so I just choose a couple of books when I do the WWW Wednesdays! Thank you, I hope it picks up, too. I enjoy John Green so I’m still hopeful. Happy reading!